Owl News All About Owls Owl Art Owl Photos Vol. 2 - Winter 2015 All Owl News All the Time! 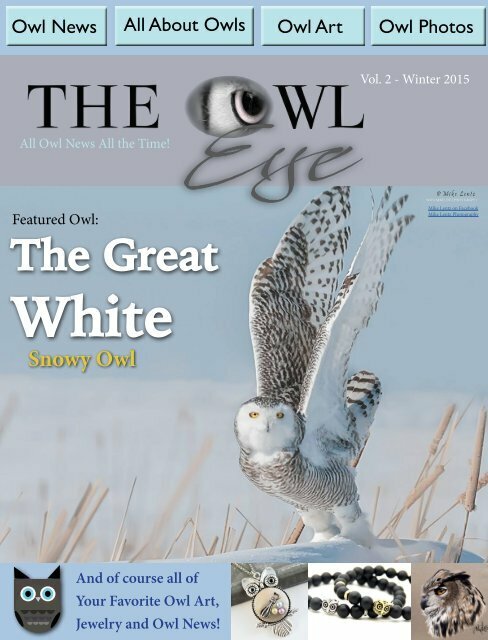 Featured Owl: Mike Lentz on Facebook Mike Lentz Photography The Great White Snowy Owl And of course all of Your Favorite Owl Art, Jewelry and Owl News!